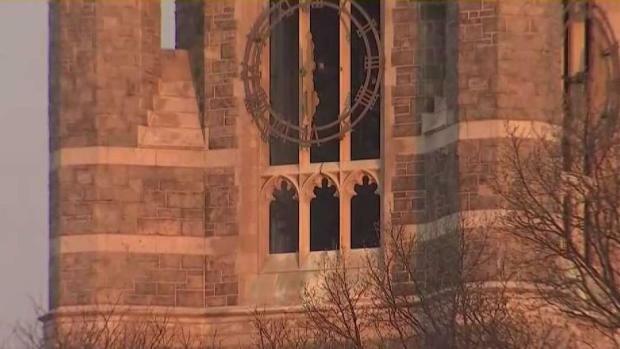 A 22-year-old senior at Fordham University in the Bronx plunged 30 to 40 feet to her death from the school's iconic clock tower when she climbed up with some friends early Sunday to get a better view of the city, authorities say. Sydney Monfries, a senior, went to the Keating Hall clock and bell tower with friends around 3 a.m. to see the sprawling skyline and somehow apparently fell through a hole in one of the stairway landings. Emergency responders found Monfries lying on the ground inside the tower with trauma to her head and body. She later died. It was weeks before her college graduation. 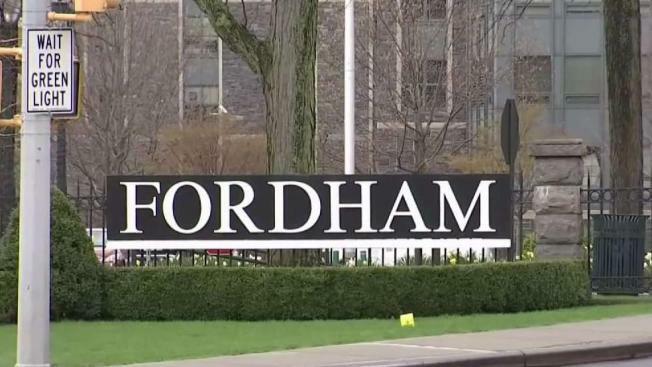 In a statement to Fordham students and faculty late Sunday, Fordham University President Joseph McShane said the school would award Monfries a posthumous bachelor's degree and present it to her parents "at an appropriate time." "There are no words sufficient to describe the loss of someone so young and full of promise -- and mere weeks from graduation," McShane said. "Our hearts go out to Sydney’s parents, and her family and friends -- theirs is an unimaginable loss, and we share their grief." The Gothic clock tower is off-limits to students, according to a 2013 article in The Fordham Ram. But the ban makes it all the more appealing for students to sneak up and witness breathtaking views, according to multiple reports. Fordham officials said they were investigating how the students gained access to the tower, which is normally locked.